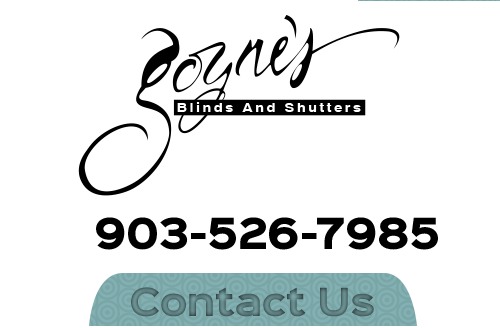 At Goyne's Blinds and Shutters, our Tyler shutters and window coverings company has been proudly serving the local area for over seventy-five years. This fact speaks volumes about the exceptional service that you will receive when you hire our contractors for your window treatment project. We carry a wide selection of shutters, shades, and window blinds in Tyler, TX made by the top manufacturers. Our design experts can help you choose the options that you and your family will love the best. The one constant in everything that we do is our goal to maximize customer satisfaction. Call Goyne's Blinds and Shutters today if you are looking for window blinds or shutters in Tyler, TX. Our courteous and polite staff would be happy to assist you in any way that we can. Our window shades and shutters experts can handle the entire process for you from selection to measurement and installation. We would be very excited to schedule your appointment today. If you are trying to enhance the look and beauty of both the interior and exterior of your property, you should consider installing shutters in Tyler, TX. Shutters are manufactured for both inside and outside applications. 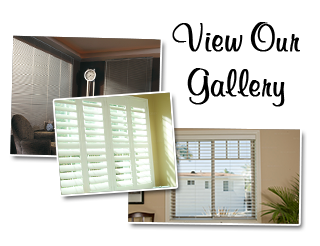 At Goyne's Blinds and Shutters, we proudly install all types of shutters for our customers. These uniquely beautiful, durable, and functional window treatments can beautify your home from every vantage point. Perhaps the most popular window treatments are window blinds in Tyler, TX. At Goyne's Blinds and Shutters, our Tyler window blind experts install both real wood and faux wood blinds for our customers. Both of these window treatment options can vastly improve the look and feel of any interior living spaces. Real and faux wood blinds in Tyler are long-lasting and low maintenance. The beauty and warmth of wood matches well with all interior decoration schemes. Woven wood shades combine the natural beauty of wood blinds with the delicacy and opacity of traditional shades. As such, they are a wonderful category in and of themselves. At Goyne's Blinds and Shutters, our Tyler window shade company is especially adept at helping local families select and install woven wood shades within their homes. With our help, we can guarantee that you and your family choose the woven wood shades that will best improve your living spaces for the long-term. If you are looking for a truly unique window treatment option for your Tyler home, you should peruse our wide selection of shades. Window shades come in an endless number of styles, colors, shapes, and patterns. As such, you and your family will be able to find an option that will work best in your living spaces and will achieve all of your aesthetic goals. Our Tyler window shade contractors can help you with every aspect of this project. At Goyne's Blinds and Shutters, our Tyler window coverings company and our contractors pride themselves in everything that we do. We are honored by the fact that so many local residents and businesses have trusted us with all their window treatment needs for the last eight decades. When we are hired for a job, our professionals do everything within their power to honor the trust that our customers show in us. To do so, we seek to provide the highest quality customer service possible. We treat our customers home or business as if it were our own. Our window treatment designers will customize every aspect of our services to your needs. As such, when you trust us with your window treatment project, you can rest assured knowing that you will make the absolute most of your efforts. Horizontal vs Vertical – Which Window Blinds Are Right for You? If you are looking for window blinds and shutters in Tyler, TX, please call 903-526-7985 or complete our online request form.